Please join us for a Panel Discussion on Saturday, March 28 at 4pm. Followed by a guided tour of the Gary Rough exhibition, 5:00 – 5:30 PM. Douglas Payne, moderator, is a songwriter, bass player and backing vocalist in the rock band, Travis. Payne was born in Glasgow and attended Glasgow School of Art where he and Gary Rough met. Payne resides between Glasgow, London and New York. He holds a BA (Hons) degree. Gary Rough, panelist, was born in 1972 in the city of Glasgow, Scotland. He holds a BA (Hons) and an MFA from Glasgow School of Art; he also attended the Hochschule der Kunst in Berlin in 1997 on exchange. He currently lives and works in New York City, which has been his primary residence since 1998. 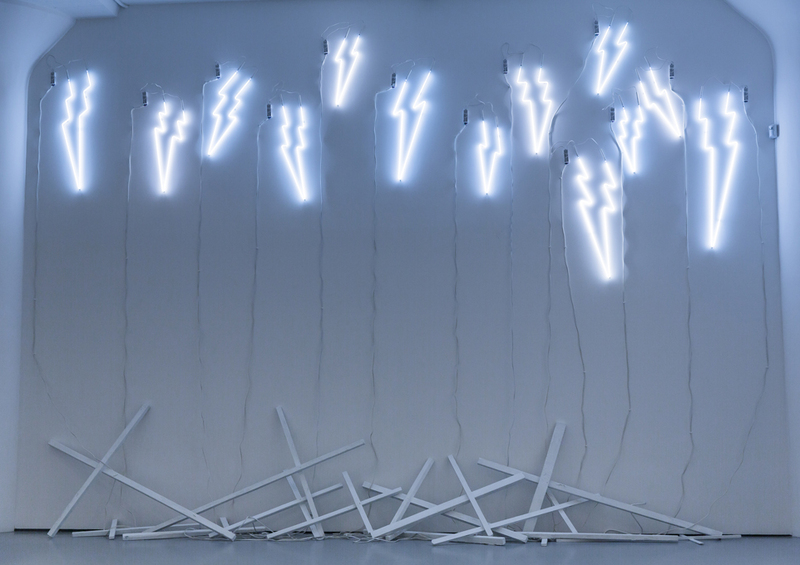 Gary Rough is currently on view through April 25, 2015 at Fergus McCaffrey, New York. Russell Ferguson, panelist, has been a Professor in the Department of Art at the University of California, Los Angeles since 2007. From 2001 to 2007, he was Chief Curator at the Hammer Museum, Los Angeles, where he remains an adjunct curator. He has organized many exhibitions. These include The Undiscovered Country, a survey of various approaches to representation in painting, as well as solo exhibitions by Larry Johnson, Francis Alÿs, and Christian Marclay. At the Museum of Contemporary Art, Los Angeles, he organized survey exhibitions of the work of Liz Larner and Douglas Gordon. With Kerry Brougher, he organized Damage Control: Art and Destruction since 1950 for the Hirshhorn Museum in Washington. He was born in Scotland and holds a BA from the University of Stirling, Scotland, and an MA from Hunter College, New York City. Ronald Schwartz M.D., panelist, is a psychopharmacologist and art collector who lives and practices in New York City. Dr. Schwartz has worked for more than two decades with people in the creative arts, exploring the relationships between personal psychodynamics and the process of art making. He and Gary Rough have been friends for over fifteen years.